Dull Knife, called Morning Star by the Cheyenne, was the famous Cheyenne chief best known for his active resistance to Western expansion and the Federal government. He was a hero among the Cheyenne who told many stories about his incredible exploits, everything from saving his little sister from being trampled by a stampeding herd of buffalo when he was just a boy to fighting a grizzly bear as a young man. 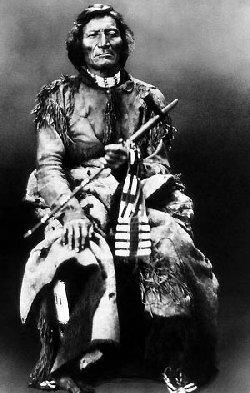 It is due to the courage and determination held by Morning Star and other Cheyenne leaders that the Northern Cheyenne still possess a homeland in their traditional country (present-day south-eastern Montana).